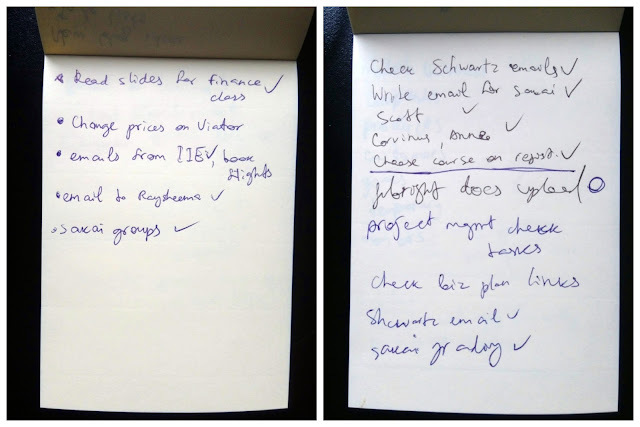 I used to write them down on my laptop, but now I prefer real notepads as they make you less distracted with what I call "anti-productive productivity" and except that, they look great on paper. 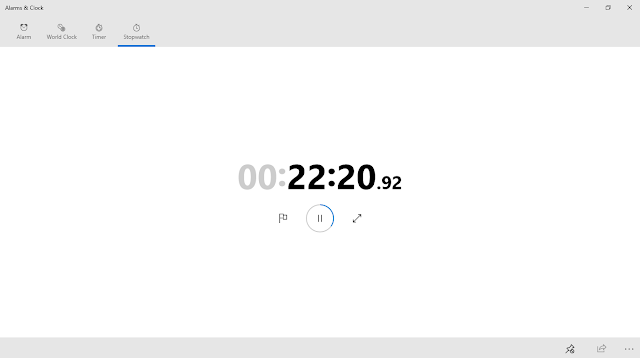 I use Microsoft Windows 10 "Stopwatch" app, which is quite simple and minimalistic. That's kind of what I like. 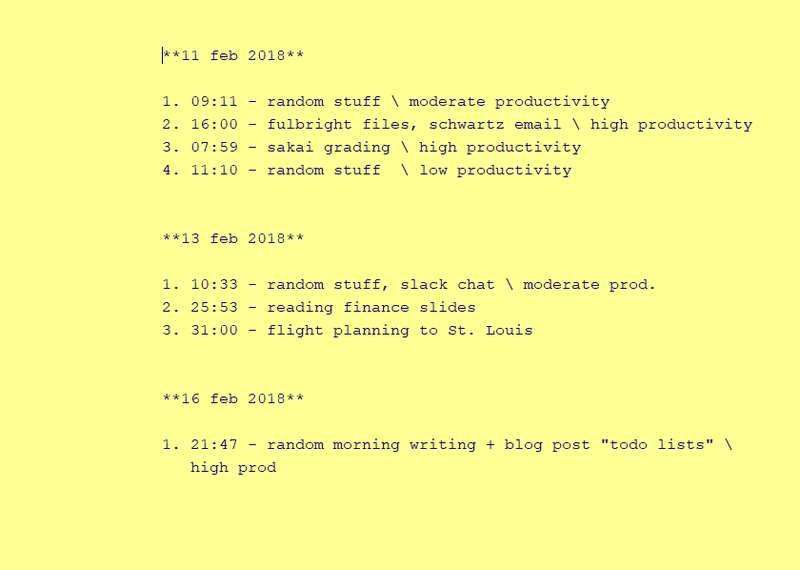 After writing down the time spend, the title of the tasks done, I also categorize them by productivity levels. What I love about my new tracking and to-do list system is that it makes me more productive and focused. I write my list down, see what has to be done first, open my stopwatch app, start the stopwatch, start doing the work and as soon as I'm done, I stop the stopwatch. 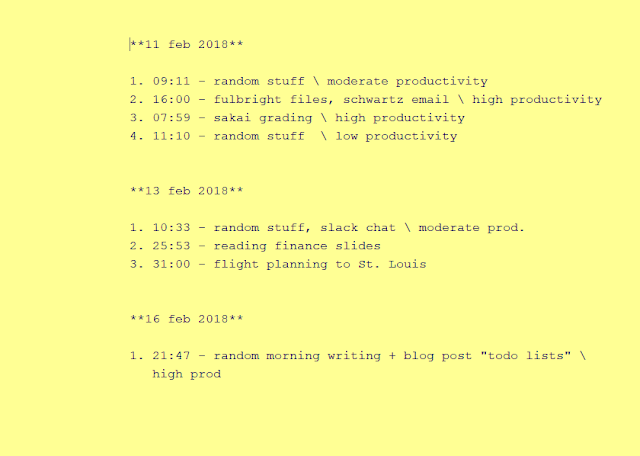 Then I write the time I spent for each task on WriteMonkey (my favorite text editor these days). There's no specific reason for that, except I think I could use it later on to analyze my task performing habits. Another key beauty of this system is that suddenly I found out I have more time than I thought. Randomly performing tasks, multitasking, checking inbox every second or responding messages once I saw them hovering in my facebook tab, made me spent hours on something that should have taken some minutes. I also found out that some of the non-priority stuff takes quite a long time. For instance, checking flights on Momondo and planning the trip to St. Louis, MO took me 31 minutes. Still, I didn't finish that yet! Reading finance slides took me less time. In general, I would recommend everyone to try experimenting with to-do lists, while using stopwatch to track the time spent for each task. It's very useful for focusing on the tasks at hand and having more time left to spend the rest of the day. Productivity is a amount of work output associated with the exertion required to produce that output, Article Rewriter Checker available.